• Are you tired of the same old boring workout routine? Do you wish there was a fun way to lose weight and get the body you have dreamed of? Our Weighted Hula Hoop is a the best hula hoop for exercise. Specifically weighted for maximum weight loss, exercise, burning calories and getting you into the best shape ever. Doing our hula hoop workout will get you slim and trim before you know what happened. Hula hoop for exercise is the wave of the future, you don't have to miss out. •Our adult weighted hula hoop is made of a comfortable foam padded exterior and a high quality durable plastic core. With 6 detachable sections and weighing in at just over 3 pounds, you can easily take your weighted hula hoop with you, whether traveling across country or across town. We made the hula hoop easy to assemble and retain perfect balance when used. •Hula hoops for adults is the hottest craze being used by some of the hottest bodies and biggest names around like Beyoncé, Michelle Obama, Olivia Wilde, Zooey Deschanel and many, many more. Hoola hoop exercise is the best new way to lose weight and get in shape. •With our 100% Total Satisfaction Guarantee, we protect your investment and purchase and know you will love our weighted hula hoop for exercise and fitness. If for whatever reason you don't think it's the best hula hoop for adults ever, simply return it within 30 days and we will promptly issue a full refund of the purchase price. No Questions Asked. Hula Hoop Yourself to Slim and Trim Our Weighted Hula Hoops are not Toys for Little Girls and Boys. Our adult weighted hula hoop is made of a comfortable foam padded exterior and a high quality durable plastic core. With 6 detachable sections and weighing in at just over 3 pounds, You can easily take your weighted hula hoops for exercise with you whether traveling across country or across town. We made the hula hoop weighted to easily assemble and retain perfect balance when used. 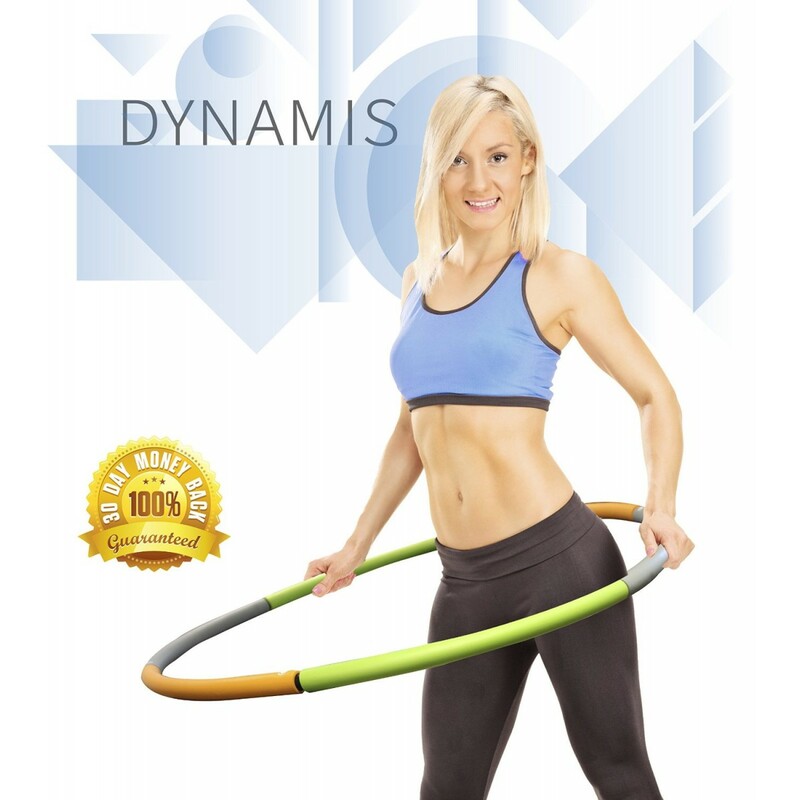 Weighted Hula hoops for adults workout is the hottest craze being used by some of the hottest bodies and biggest names around like BeyoncÃ©, Michelle Obama, Olivia Wilde, Zooey Deschanel and many, many more. Hoola hoop exercise is the best new way to lose weight and get in shape. Hoola hoop your way to a new day today.